A while back I created a simple web based tool that helped you create text strings of a specified length. The text strings are created to make it easy to tell their length even if they are truncated. The tool was based on a similar tool by James Bach, called perlclip. 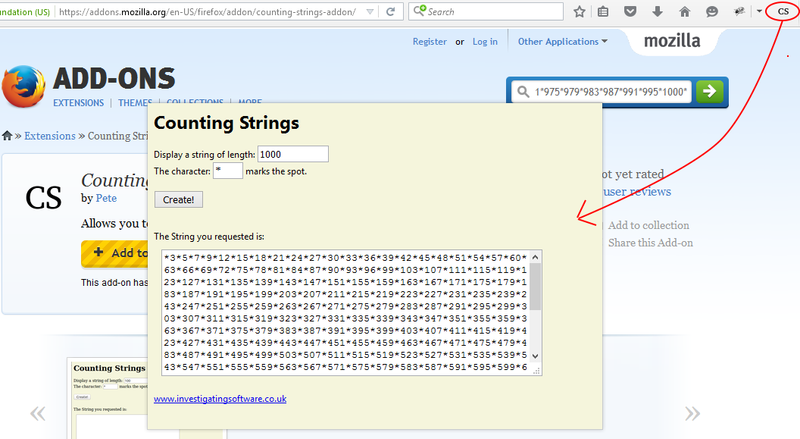 I've now updated my Counting Strings script to be a free Firefox add-on. So you can now have it with you where ever you test online. You don't even need to restart your browser. Counting Strings opens right in your browser, without affecting your website.